Insight about respiratory tract infections. As we pull the cold-weather gear from the closets and brace ourselves for the onset of the sniffles and coughs that come like clockwork during the winter months, it is important for parents to know that sometimes seasonal sniffles can mean more than just the common cold or flu. Respiratory syncytial virus, referred to as RSV, is a prevalent virus that usually causes cold-like symptoms in adults and children. For premature babies or people with certain risk factors, RSV can be serious. RSV is an upper respiratory tract infection that virtually all babies contract by the time they turn 2 years old. While mild in most children, RSV is the leading cause of hospitalization of infants under the age of 1, accounting for more than 125,000 hospitalizations in the United States annually. RSV is also responsible for one in every 13 visits to a pediatrician and one in every 38 emergency room trips for children up to the age of 5. 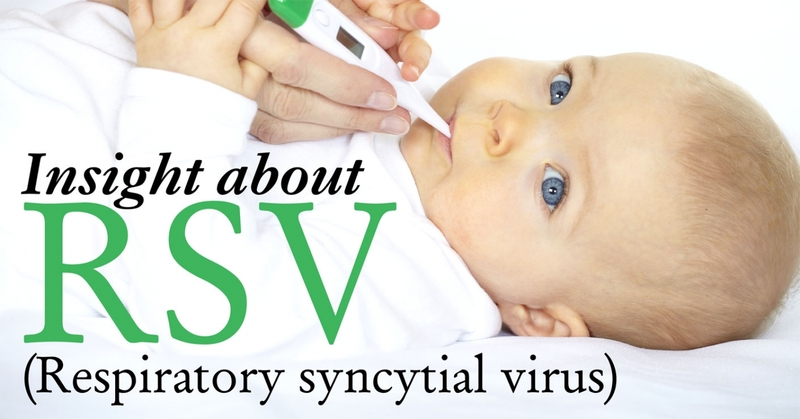 RSV recurs yearly and can be contracted more than once over a child’s lifetime. The “RSV season,” when RSV outbreaks are considered widespread in a given area, varies from year to year and state to state. In most of North America, including New York, the typical season begins in October or November and continues for four to five months. All babies are at risk for contracting RSV, especially within the first six months of life. Babies born premature (earlier than 36 weeks gestational age) are particularly vulnerable because their growth in the womb is disrupted by their early arrival. Because of this, these preemies have underdeveloped lungs and lack important antibodies they need to fight off infections. Additional factors, such as low birth weight (less than 5½ pounds), contact with other children at daycare or through school-age siblings, a family history of asthma and exposure to tobacco smoke, also put babies at high risk for contracting RSV. In addition, babies suffering from lung disease, heart disease or immune deficiencies should be closely watched for a longer period of time because RSV can lead to severe lower respiratory tract infections, including bronchiolitis or pneumonia. How do I know if my child has RSV? Common symptoms of RSV include runny nose and fever. A severe cough, persistent wheezing or difficulty breathing also may occur. Possible symptoms of a more serious infection include apnea (if the baby stops breathing for more than ten seconds), or when the baby turns blue or breathes so fast that you can’t feed the baby. It is recommended that you call your child’s pediatrician or visit the emergency room if your baby is experiencing such symptoms. Parents need to be exceptionally vigilant during the winter months when babies are most susceptible to illnesses like the common cold, flu and RSV. Keep other children and adults who have coughs and colds, or who are sneezing, away from your baby. As RSV lives in tissues and on surfaces for hours, you can also help prevent the spread of RSV by frequently cleaning your baby’s bedding, toys and personal items and asking people who touch your baby to wash their hands or use antibacterial gels. You know your baby best; trust your instincts. Take the necessary precautions to keep your family healthy and, as always, consult a physician when you are concerned. RSV will affect most children by the age of 2 and often poses similar symptoms as the common cold. RSV is the leading cause of hospitalization of children under the age of 1. If your baby falls ill from RSV, consult your child’s healthcare provider with any concerns.